Retail design and store architecture are conceived at the convergence of creativity, aspiration, lust and loyalty. Showcasing the best of this aesthetically pantomime realm, publisher Gestalten’s latest offering Shoplifter! takers the reader inside the guarded world of luxury retail, side-stepping the gatekeepers of brands such as Fendi, Hermès and Cartier with beautiful photography and an insight into the many environmental manipulations that shape our shopping habits. Unveiling the secrets of the ever-shifting retail landscape, Shoplifter! exposes the psychology of space and the role retail plays in brand identity, while celebrating the innovations and uninhibited creativity behind the world’s most influential shopping destinations. Disrupting an industry built on heritage, high-end Korean eyewear brand Gentle Monster was founded by Hankook Kim only seven years ago in Korea. Since then, driven by high profile celebrity endorsement, the brand has seen explosive growth and by the end of 2017 had added theatrically staged retail spaces in New York and Los Angeles to its portfolio, with LVMH investing $60 million for a 7% stake in the company. Driven by flights of wild imagination, Gentle Monster’s retail spaces feel more like galleries inviting visitors to experience a new version of the world for the first time, presumably through the lenses of the brand’s oversized frames. “Nobody wants to see the normal, the contemporary customer craves the captivating,” says head of retail design Jae Ho Bae. By creating abstract experiences for its customers, Gentle Monster restores a sense of enigmatic play to the mundanity of the everyday so often void of mystery. In the endlessly imaginative world of fashion, the retail experience has always been so much more than shopping for individual items. Culture-driven consumers are drawn to brands who can offer them a slice of the lifestyle they want to exist within. Brands can only be created with enchanting narratives, unique personalities and physical destinations. Few are more overtly aware of this than creative director and fashion visionary Silvia Venturi Fendi. 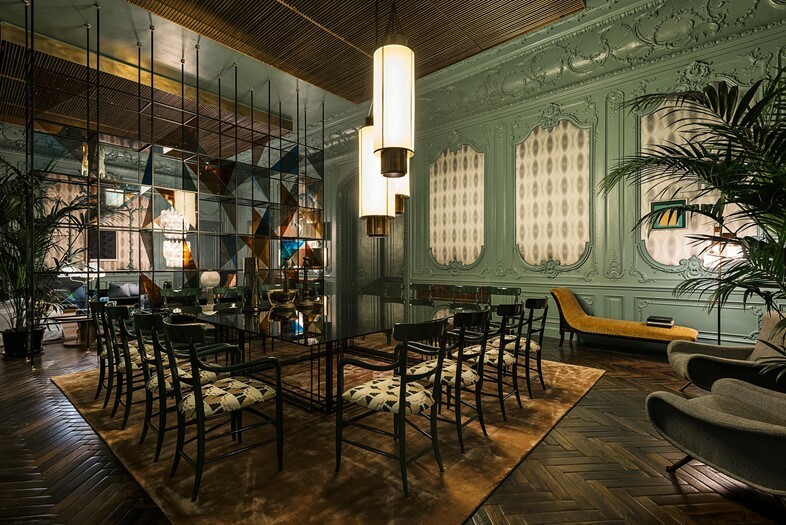 Using Design Miami as a platform for supporting the object and interiors-led design world, Fendi’s spacial collaborators have included architect Cristina Celestino, Dimore Studio, botanical artist Azuma Makoto and star architect Gwenael Nicolas. “The universe of design is a never-ending passion and a source of continuous inspiration. It is a fascinating world, made of individuals with extraordinary personalities and invigorating, personal styles that shun the conventional,” explains Fendi. When a company such as Hermès has thrived for almost two centuries there’s really very little need to reinforce their primary identity. The undying value of respected heritage is a powerful tool for any brand, but it does carry with it the risk of repetition, or worse, obsoletion. 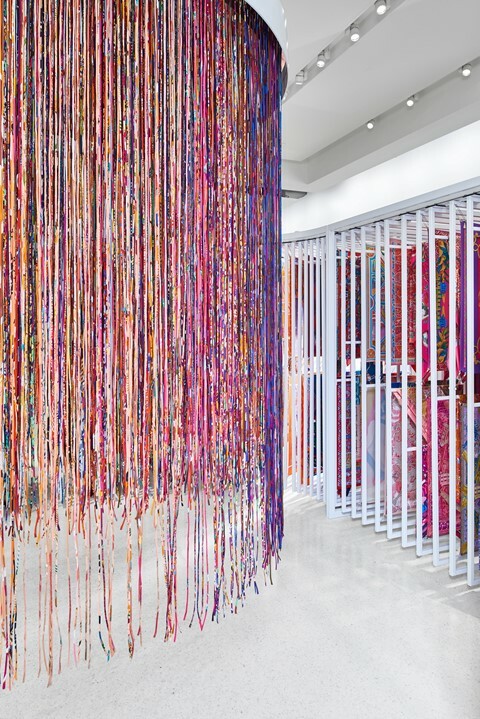 Hermès has intelligently avoided this by using each of its destinations as a canvas for making creative statements that continually and elegantly reframe the cultural relevance of its timeless products. 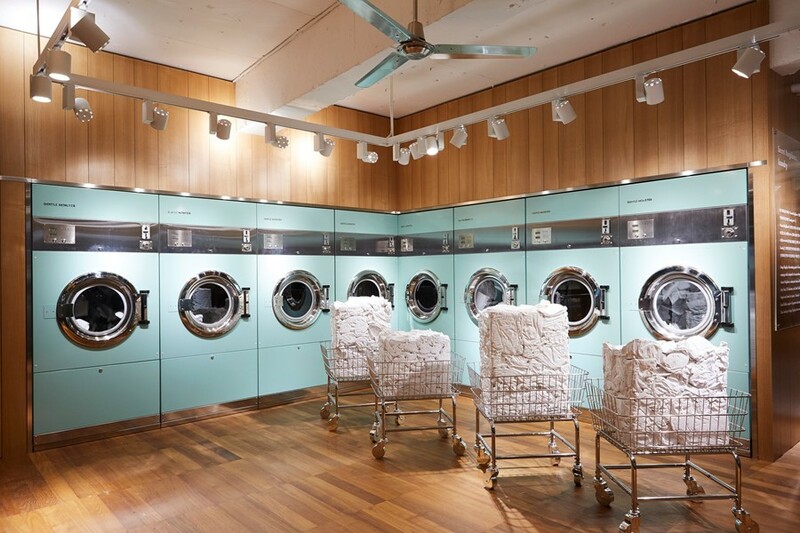 While maintaining a lifelong loyalty to its roots in craft, Hermès routinely embraces the diversification of luxury brand expression with cartoon-like installations that add a visual accessibility to notoriously inaccessible retail spaces. In an age of instant digital gratification, there’s something hedonistically antiquated about exiting the comfortable womb of online retail and leaving the house to visit a physical destination to purchase an actual book. 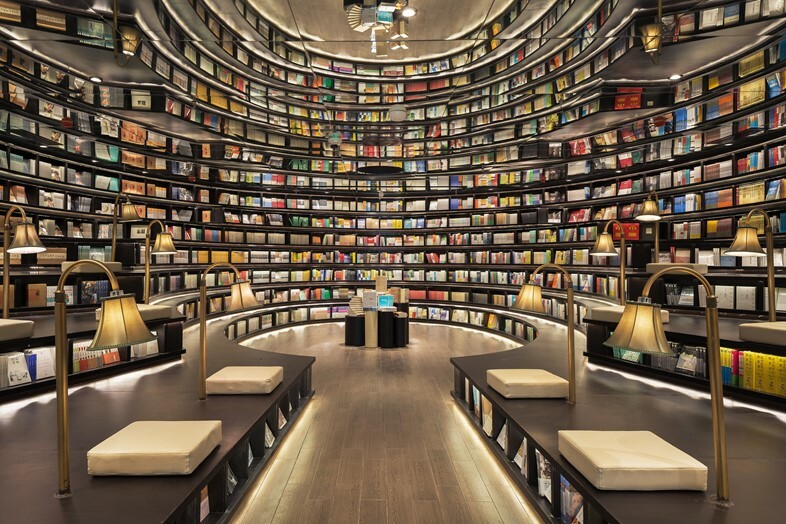 Architects X+Living are the creators of the Zhongshuge bookstore in the ancient riverside city of Yangshou, China. The cavernous interiors reposition the book-buying experience in an undoubtedly sci-fi inspired environment where the minimal aesthetics of a future world appear to adopt the misfit charm of vintage reading lamps and similar odes to traditionalism. The unique peculiarity of designing for the children’s fashion market is that the purchasing decision-maker is never the end user. Only when appeasing the wants of the adult can the transaction of goods occur. This poses a number of challenges for brands such as Kindo, and of course their design teams. Though aesthetically uncomplicated, design studio Anagrama’s vision for the Mexico store uses the power of nuanced juxtaposition to manipulate perception in order to appeal to both the paying customer and the hard to please user. 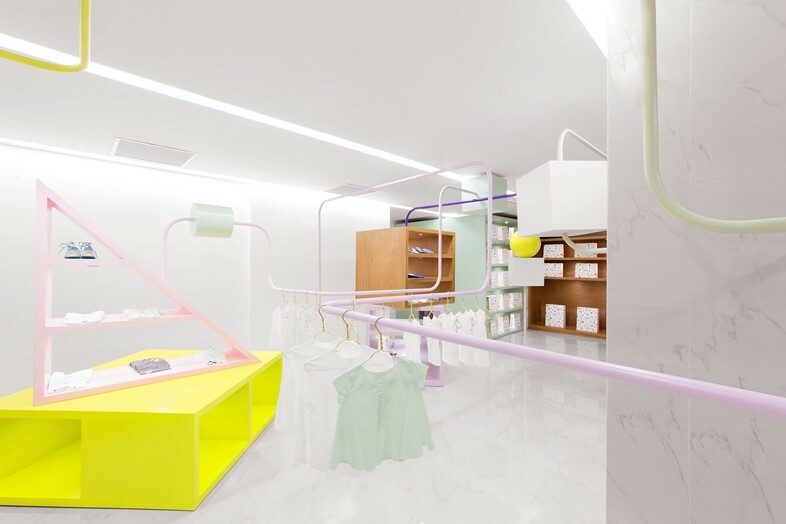 A childish palette of pink, yellow and green is matured with a shift to pastels and the playground-inspired tubular hanging rails that weave throughout the store appear in the context of sophisticated sculpture thanks to the gallery-white walls and sleek marble flooring. Shoplifter! is out now, published by Gestalten.